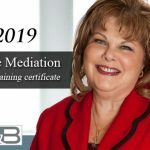 Negotiating a settlement in a divorce case is no small accomplishment. As we must tell our clients, being a Chicago family law attorney requires one to be a jack-of-all-trades. 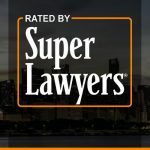 We must be aware of tax implications for retirement accounts and selling real estate, navigate a business valuation process, interpret complex corporate returns, and that doesn’t even dabble into the whole arena of child custody and 604(b) evaluations. That being said, even the smallest of areas require divorce attorneys to remain up to speed on current law. One such small area is health insurance. Oftentimes, one party is covered under the other party’s health insurance policy through an employer. Upon a divorce, the non-employee party is left trying to find health insurance coverage. Sometimes a concern even bigger than the cost of health insurance is whether the former spouse can obtain his or her own health insurance. The insurance industry being how it is, oftentimes even the most minor of health problems means higher premium costs, no coverage on preexisting conditions, or worse still, being completely uninsurable. Generally, in the field, we refer to this as a former spouse choosing to elect COBRA or ERISA, and including this election in settlement negotiations is nothing new. However, if the former spouse is 55 years of age or older, that two-year limitation no longer becomes a condition of termination. Instead, if the former spouse is 55 years of age or older, the expiration of the coverage must actually continue until he or she is able to qualify for Medicare. Provided that the former spouse is not subject to coverage termination under items 1) through 4), the coverage must continue until the former spouse is able to qualify for Medicare. This difference for clients 55 years of age or older is small but important for that former spouse who may not be insurable, or who can’t obtain coverage for pre-existing conditions. Sometimes a former spouse’s ability to maintain usable health insurance can make a difference in cash flow analysis, and maintenance calculations. It is also key to remember this statute when a soon-to-be former spouse is just shy of a 55th birthday. In terms of settlement it can be crucial to wait just a few months before entering the Judgment for Dissolution of Marriage in order to secure that coverage, which comes at no cost to the employee spouse. Time after time we tell our clients that even the smallest variable can change the terms of settlement negotiations and this is one such example. 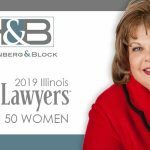 Tiffany Alexander is a Partner at Hoffenberg and Block, LLC, a full-service Chicago Family Law Firm serving clients from Cook, Lake, DuPage, Will and McHenry Counties in Illinois for over 45 years. 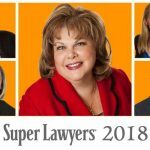 PreviousPrevious post:Hoffenberg and Block, LLC – A New Year, A New FirmNextNext post:Are you covered?